Top lightweight contender Dustin Poirier is ignoring the naysayers ahead of his title fight with Max Holloway at UFC 236. 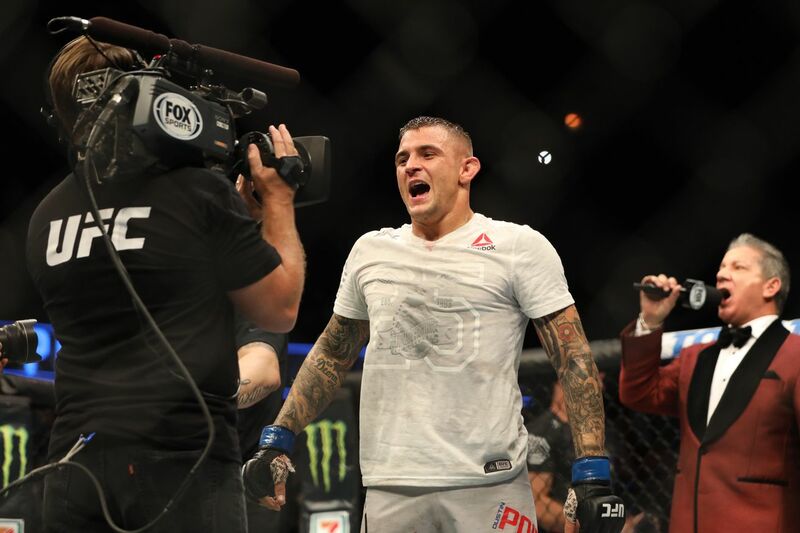 Ahead of his UFC interim lightweight title fight against Max Holloway this weekend, Dustin Poirier has said he is ignoring the negativity and those questioning the legitimacy of the belt on the line. Poirier (24-5) enters his fight with the featherweight champion Holloway riding three consecutive wins all over top contenders. Starting with a submission win over Anthony Pettis, “Diamond” followed that up with knockout victories over Justin Gaethje and Eddie Alvarez. The 30-year-old spoke to MMAWeekly about his fight this weekend. “It’s here and it’s happening,” Poirier said. “I couldn’t be more happy. I know people are saying it’s an interim title and ‘where’s Tony [Ferguson]?’ all this and that. Current UFC lightweight champion Khabib Nurmagomedov is still serving his suspension after his post-fight brawl following his bout with Conor McGregor at UFC 229. Meanwhile, number one contender Tony Ferguson has got personal issues of his own to deal with, as his wife filed a restraining order against him last month. “To me, April 13, when I’m in the Octagon and Dana [White] puts the belt on me, this is going to be 12 years of sacrifice, 12 years of clawing back, 12 years of proving people wrong,” Poirier said. “So much work has been done and so much work still has to be done before this goal is a reality but this isn’t an interim title to me. UFC 236 takes place this Saturday night, April 13th, at the State Farm Arena in Atlanta, Georgia. Holloway vs. Poirier will serve as the main event, whilst Israel Adesanya will face Kelvin Gastelum for the UFC interim middleweight title in the co-main event.